Domestic appliance manufacturer Whirlpool has signed a framework agreement covering 24,000 workers. 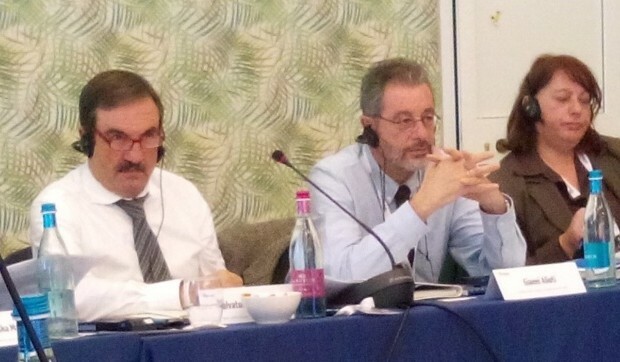 At a meeting in Rome on 18 March 2016, representatives of Whirlpool and Indesit workers in Europe reached an agreement with company management for the establishment of one European Works Council in the Europe region, Middle East, and Africa (EMEA). The agreement comes into force on July 1, 2016. Management agreed to incorporate all amendments to the agreement submitted by the special negotiating body of the Whirlpool European Employee Committee (WEEC), promising a new era of industrial cooperation at the company. US corporation Whirlpool acquired a 100 per cent of the stock control in the giant Italian home appliance company Indesit at the end of 2014, doubling its footprint in Europe, the Middle East and Africa. The company manufactures white goods, such as fridge freezers, washing machines and cookers. The acquisition lead to a series of redundancies, especially in Italy, and Whirlpool and Indesit were subject to industrial action by unions. After the agreement on the industrial plan for Italy signed on July 24 2015 by the government, unions and Whirlpool, there was an improvement in relations with the company.